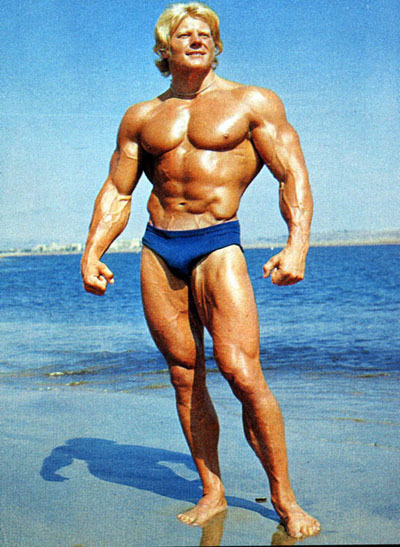 The bodybuilder, whose photos look as if they depict a Hollywood actor, Dave Draper, nicknamed “Blond Bomber,” belongs to one of those people who, like Steve Reeves and Arnold Schwarzenegger, created their own sporting movement and led thousands of people into bodybuilding. At first glance this handsome man can be said that he has always been incredibly successful, but in reality it is not quite so. Dave Draper was born and grew up in sunny Santa Monica, among many beaches and a bustling sea. Since childhood, the boy began to be attracted by power sports, which was not so popular yet. Weightlifting was not common in those years, unlike popular football – European and American. However young Dave nevertheless has decided to connect his life with bars and dumbbells. He was attracted by strong people since childhood, he strove for them and wanted to become exactly the same. An example for the imitation of the 12-year-old Dave was two simple port workers, whose shoulders and back became incredibly wide due to constant loads. This may seem ridiculous, but still it was so. 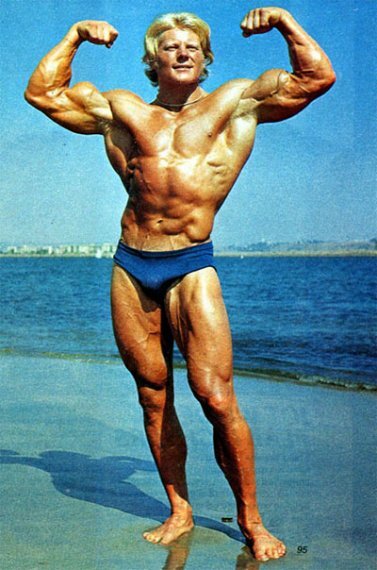 Bodybuilding professionals, like Steve Reeves, became Draper’s idols much later. It is worth saying that Dave was not the most sociable guy in his youth, and therefore his best friends were bought by his father old dumbbells and a heavy barbell. With them it was not necessary to behave unnaturally, justify or apologize. They accepted Dave as he really is. And he paid them the same, namely, many hours of daily exercise, up to complete exhaustion. Here it can be said that Dave was a very purposeful guy, since he was engaged with such zeal, but this is not quite so. He rather belonged to that rare class of people who do sports not for the sake of something, but for their own pleasure. He did not know about bodybuilding, nor about weightlifting, he did not read sports magazines for bodybuilders and did not understand what kind of result such loads could give. He trained because he liked it. Only to his age, Dave realized what results he had already achieved in shaping his body and how much more work to do to become a real bodybuilder. He learned about the existence of bodybuilding and bought a lot of magazines, from where he gained priceless knowledge in the field of power sports. 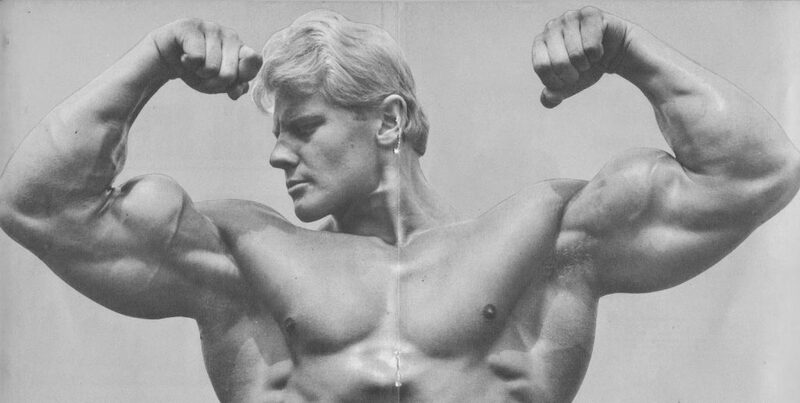 In 1962, a beautifully built blonde with a snow-white smile won the title of Mr. Santa Monica in bodybuilding. It was none other than Dave Draper. In the same year he becomes the champion of New Jersey and gets acquainted with the masters of bodybuilding like Reeves and Perle. Success and glory directly say fall on Draper and lead him further away from the beaches of Santa Monica. For 4 years, Dave trained and won various titles, became the face of many magazines and newspapers, was invited to radio and television. This new star, with a Hollywood appearance, wanted to get everything: from the reporter to the film director. In 1967, winning the most prestigious bodybuilding competition, Mr. Olympia, 4th place, Dave Draper just disappeared from the public eye. The same thing happened to him as with many people, on whom fame suddenly falls like a snow on his head – he disappeared in alcohol and drugs. Perhaps, for a guy from the outback, all the fuss and outward gloss turned out to be too pernicious, and he decided to somehow forget himself and get away from it. But, Dave did not change his habits and at this critical time he still went to the gym every day, and only in a sober state. He just could not miss his workouts, since they were the main part of his life. Dave returned as suddenly as he disappeared, but in a new role. Of course, his 40-year-old figure looked no worse than the current 20-year-old bodybuilders, but Draper reasonably judged that it was too late to compete, decided to engage in other activities. Dave opened two gyms and, most importantly, he discovered a great writer’s talent. It was he who helped Draper write a few books about bodybuilding, and write very, very well. Now Dave Draver writes articles about bodybuilding, about healthy sports and about food supplements for many well-known magazines. This entry was posted in Top Bodybuilders and tagged Mr. Olympia. Bookmark the permalink.